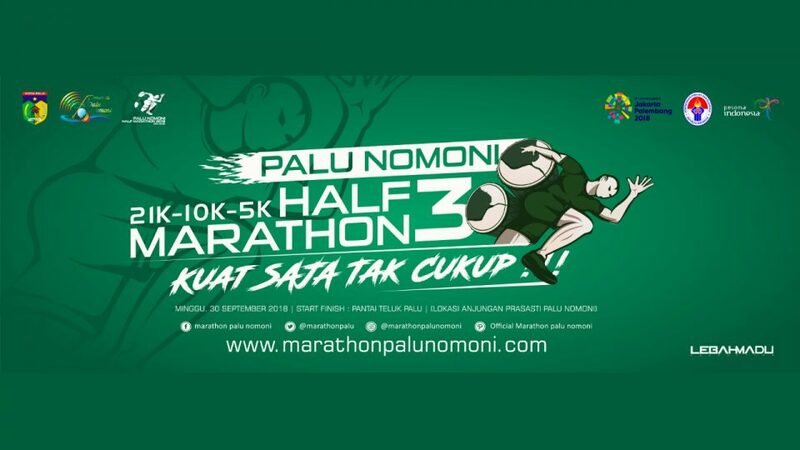 Half Marathon Palu Nomoni 2018 is one of the sustainable sport-tourism programs held by the Palu city government. The Marathon Palu Nomoni 2018 has been held since 2016, 2017 until this year with the aim of helping to increase the attractiveness of the outside community to visit the city of Palu and recognize the variety of culture and tourism presented in this bay city. With the concept of running and exercising while enjoying the coastal panorama of Palu city with clean air and witnessing the five-dimensional nature of Palu city, namely valleys, mountains, rivers, seas and bays, it is also expected to be a plot of interest for people throughout Indonesia to participate in this year's marathon event. . The Marathon Palu Nomoni 2018 will be held on Sunday, September 30 2018, whose start and finish will be at the Pavilion of Palu City - Central Sulawesi. The categories avaiable are 5K, 10K and 21K.